Successfully Added GDU O2 FPV Camera Drone - 3-Axis Gimbla, 4K Camera, App, Obstacle Avoidance, Smart Features to your Shopping Cart. This compact camera drone has been cleverly designed to make it easy to transport. It uses a sliding arm technology that allows both he arm and propellers to be folded fully into the fuselage. The drone also clips onto the remote for easy carrying . with the O2 Camera drone GDU have created a sleek looking machine that is sure to challenge the dominance of the DJI Mavic Pro. The DGU O2 has a bunch of flight modes designed to help both novice and advanced pilots get the most from this drone. Obstacle avoidance helps the O2 see objects in its path and automatically by passing them. This drone can also sense the ground and its altitude even when indoors or without a GPS signal so it has better positioning and altitude hold stability. You can use smart functions on the drone such as the follow me mode, one key return. slow motions, gesture mode and more that are all designed to help you capture better footage. A 4K camera is mounted on a 3 axis gimbal and brings videos in ultra-sharp quality. The gimbal compensates for flight and wind movements so you get smooth footage. The FPV mode allows you to transmit the live images from the onboard camera to a smartphone so you can see exactly what you're capturing in real time. Using the GDU O2 min App lets you connect to the drone and fly it without the remote control. The app also has a built-in editing and sharing functions so you can quickly share your experiences with friends via social media. 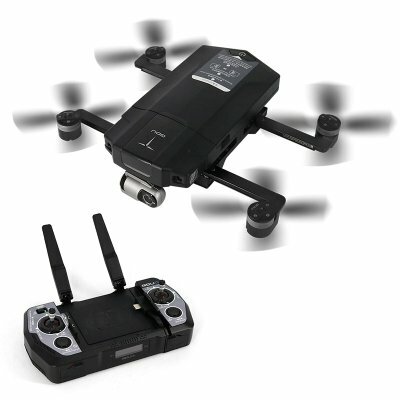 The DGU 02 camera drone comes with 12 months warranty, brought to you by the leader in electronic devices as well as wholesale drones and quadcopters..